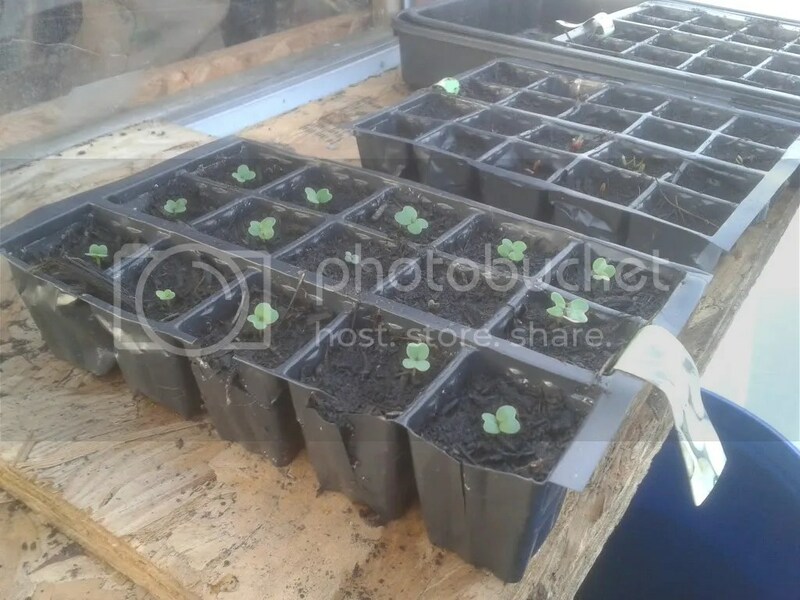 We have got the first signs of new life appearing in the seed trays in our new polytunnel. I was very excited when I went in there to water this morning. I didn’t hold out too much hope as it was a variety pack of seed from the pound shop but there seems to be a good percentage of seed germinating so that is good. So far we have planted Turnips, Beetroot, Cauliflower, Runner Beans and Sunflower. We should be planting a lot more this weekend but we have a lot of work on at the moment plus we have to move our Airstream to a new location which is making me very nervous as I have to reverse it through a tight gate off a narrow road and then down a lane into our new pitch. It will be better once we are in there but getting it in there will be interesting to say the least. Saturday is a open day at the allotment so we should get to meet up with a lot more of the plot holders and be able to swap seeds, plants and knowledge etc. Categories: Gardening | Tags: Airstream, Allotment, Allotments Association, seedlings, Seeds | Permalink.